If you are looking for a good-value all-inclusive in a stunning, serene location where there is good food & lots to see & do, you should try Hotel Club Amigo Carisol Los Corales. Carisol Los Corales has an idyllic setting, surrounded by magnificent mountains & lush tropical foliage in the beautiful Baconao National Park. In addition to local attractions such as the motor museum, ancient plantations, aquarium & prehistoric park, you will find lots to do at the hotel; from volleyball & dance lessons to horse riding, snorkelling, catamarans & pedal boats. The beach is rocky in places so bring water shoes but make sure you try snorkelling as there is a coral reef just offshore. Hotel Carisol Los Corales also has 4 pools (2 for children), where fun activities are organised by day & night. However, if you simply want to relax then Carisol Los Corales is the place for you, with peaceful areas around the pool & beach, & an awe-inspiring backdrop. Carisol Los Corales is essentially two resorts in one with unlimited access for all guests. The Carisol section is closed at certain times of the year & only used as an overflow facility, leaving guests sometimes feeling isolated, due to the seasonal closure of some Carisol facilities. 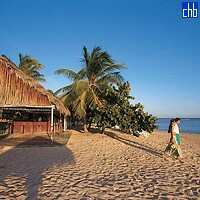 It is therefore recommended to book in the Los Corales section. 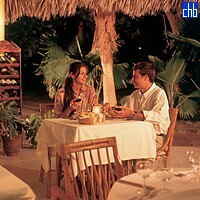 Given it is a 3-star hotel, the food at Carisol Los Corales is very good, particularly the Cuban & Seafood a la cartes. There is also good food & drink at the hotel’s 2 buffet restaurants, snack bar/grill & 6 bars, which include a swim-up bar. Despite needing a fair degree of renovation, Club Amigo Carisol Los Corales hotel is a relaxing, inexpensive place to stay which has great food & activities. This hotel is perfect for families, couples & anyone seeking a picturesque place in the sun. One hour from the city on a private beach with public beach beside it. This resort has 2 hotels and is fairly lively when both are open in high season. A solid 3 star but that is all. Decent but not extravagant. Some good staff here but some I found to be annoyingly pushy. There are over 300 standard double rooms at Carisol Los Corales, which are all ensuite & have air conditioning, balcony or terrace, safe, mini bar & satellite TV. The rooms are simply furnished & clean, though standards differ as not all have been renovated & beds are occasionally a little uncomfortable. The 46 Junior Suites are located in the Carisol section of the hotel. Rooms are spacious and they can accommodate up to 3 adults or 2 adults and 2 children. 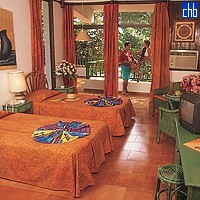 The 28 bungalws are located in the Los Corales section of the resort. Rooms are spacious and they can accommodate up to 3 adults or 2 adults and 2 children.